THE BASSET HOUND CLUB OF SOUTHERN CALIFORNIA, INC. is very fortunate to have Mary Likins as a long time member. She is an expert in emergency preparedness for pets. 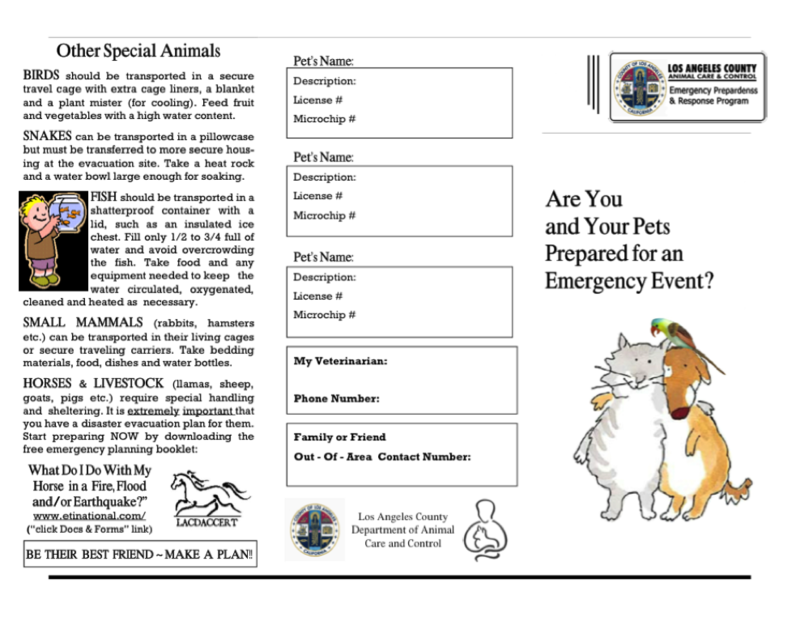 During her presentation at a BHCSC club meeting she supplied all in attendance a brochure (shown below) on the subject that is published by LA County Animal Care and Control. We have decided to provide BHCSC members with a copy of this brochure on our website. We’d like to thank Mary and her “patient” Scout for the information and demonstration. 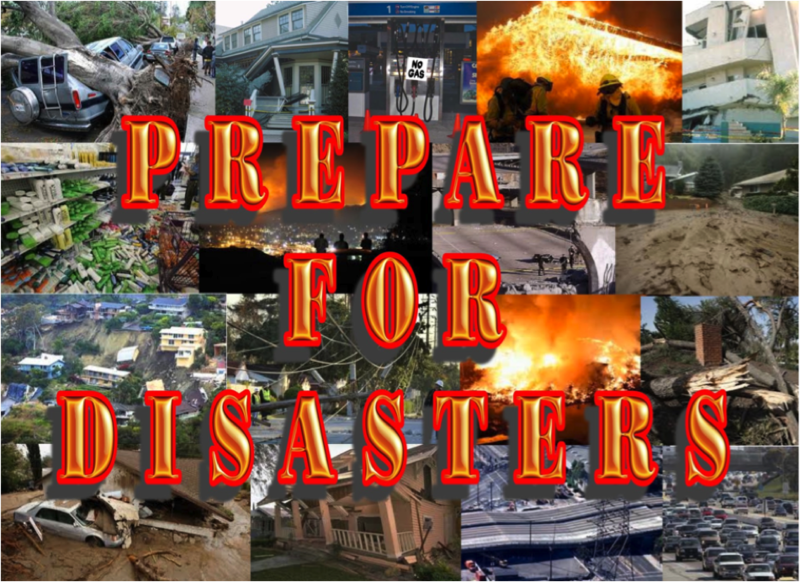 Below the LA County brochure there are some links to additional information on Emergency Preparedness that we urge you to check out. 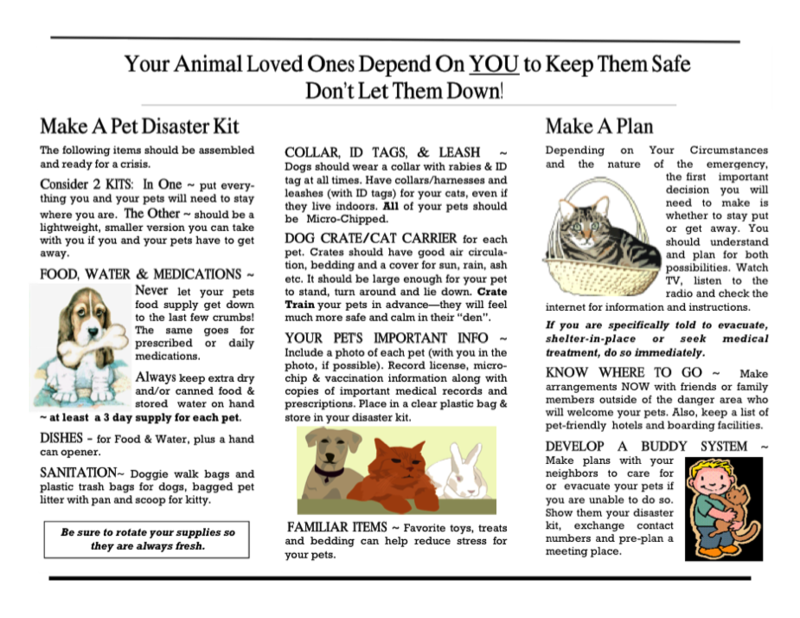 Don & Pam Bullock of Woebgon Bassets have put together an Emergency Evacuation Kit using Mary’s information as a guide. Pictures of their kit along with an explanation are provided HERE. This is something important to do for all those who own pets long before an emergency occurs. This brochure is the property of Los Angeles County Animal Care and Control. 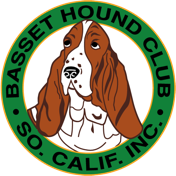 It is included here for the education of the members of the Basset Hound Club of Southern California, Inc. and others who may visit our website. For more information about the brochure and/or its contents contact LA County Animal Care and Control. Their Ready website has information preparing for all kinds of emergencies. The FEMA website also has specific emergency information on Sheltering Your Pet, Protecting Your Pet During the Disaster and Caring for your Pet After a Disaster. Information and ideas for humans as well as pets. The following link was suggested by the Basset Hound Club of America, Inc.